Originally I intended this blog to be just about reviewing books, but I feel like I can make an exception for this musical! 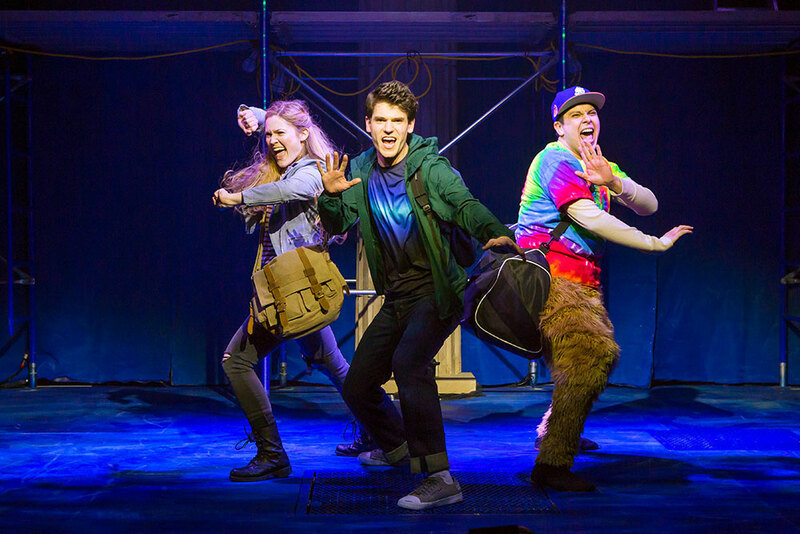 I spent Easter weekend in New York with my sister, and I was lucky enough to get us tickets to see The Lightning Thief: Percy Jackson the Musical at the Lucille Lortel Theatre. We went to the night performance, and we got there pretty early but there was already a crowd waiting to go inside. I managed to snag my sister and I front row seats, and it was definitely an amazing experience being so close to the action! So, now to the actual play. I cannot express enough how much I loved it! It was about 2000 times better than those movies that shall not be named. Although, to be fair, the movies on there own aren’t that terrible. But they were a terrible book-to-movie adaptation. The musical contained every moment that the movies left out, like the Oracle, Mr. D, Percy having no idea who is godly parent is and eventually being claimed, his fight with Ares, and the exploding toilets, believe it or not. There was also a fun little cameo from Bianca Di Angelo! The cast was AMAZING. They embody the characters so perfectly, not to mention they are all super talented. It was so amazing to finally see some of my favorite characters brought to life in a way that was super true to the books. Percy was so sassy and funny, and Annabeth was such a badass. It was such a well-written play, the entire theatre was laughing the whole time! This is an off-broadway musical, so I assume there wasn’t the biggest budget, but let me tell you that did not stop them! They dealt with centaurs, satyrs, and Medusa in such clever and funny ways. Also, they just announced that a cast album will be released! So if you can’t make it to see the musical in person, you should definitely buy the album! 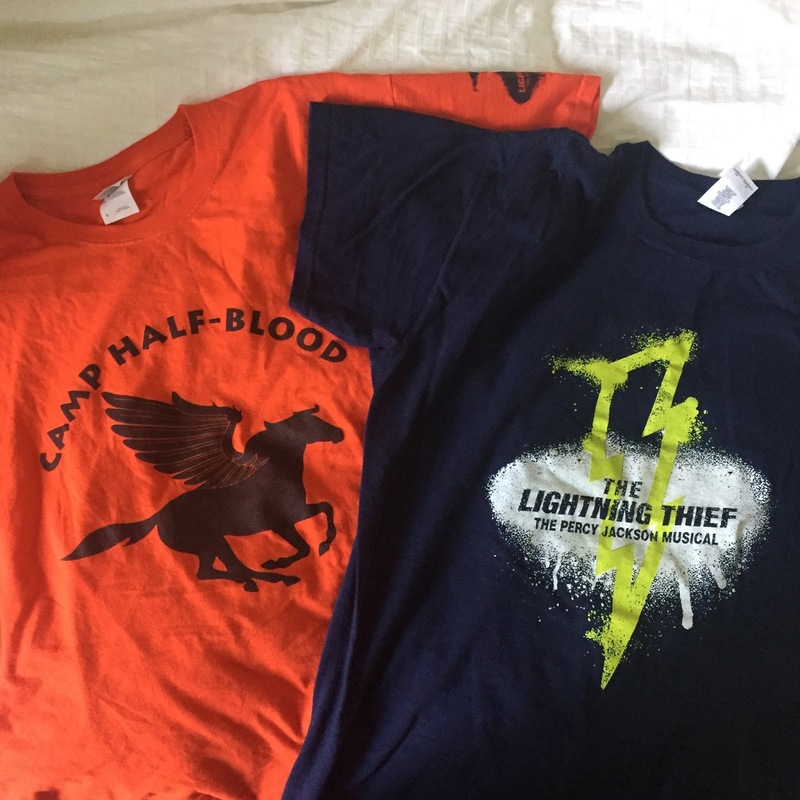 After the musical, they actually set up a small merchandise table where they were selling the Percy Jackson books, some of which were actually signed by Rick Riordan, as well as posters and two t-shirt styles! I bought the two t-shirts, which I have a picture of down below. After the musical ended everyone lined up outside and the cast came out and took pictures with everyone and signed posters or books! I brought my original copy of The Lightning Thief which is a million years old and has clearly been read a million times based on how destroyed the spine is. So that was my experience at The Percy Jackson Musical! I definitely give it 5/5 stars! 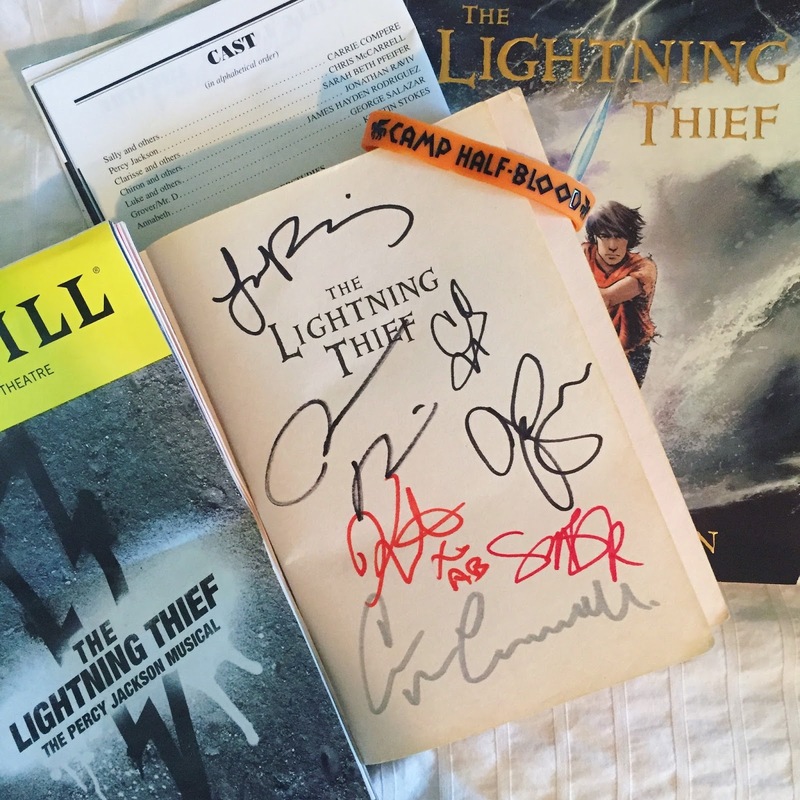 Make sure you go to www.lightningthiefmusical.com where you can see the entire company, pictures, and even a song thats been released! The two shirts they were selling! Finally I have a Camp HB shirt!